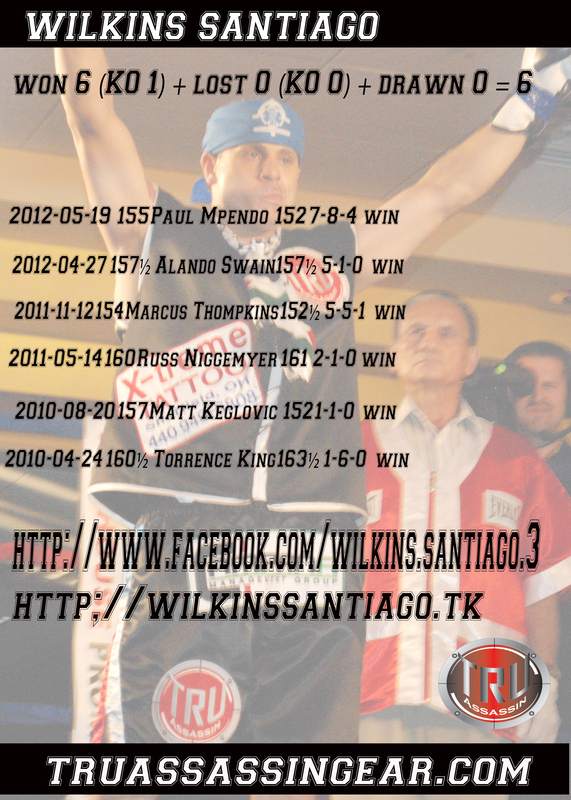 Follow the contender Wilkins Santiago and get an exclusive Santiago trading card. The Santiago trading card will be available at his appearance at the Puerto Rican parade in Cleveland Ohio. come see the TRUassassin booth starting at 4pm and Wilkins center stage at 730pm. TRUassassin Fight Gear and Apparel is the premium Fight company providing fighter and fight fans with quality boxing and mma equipment and stylish and trendy clothing.